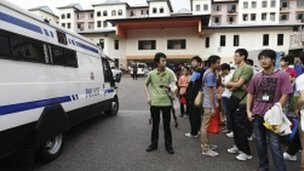 Singapore has deported 29 Chinese bus drivers and criminally charged five others for staging the country's first strike in 26 years. Last week, 171 drivers recruited from China participated in a walkout over pay and living conditions. The incident has thrown scrutiny on the city-state's policies on foreign, low-skilled labour.